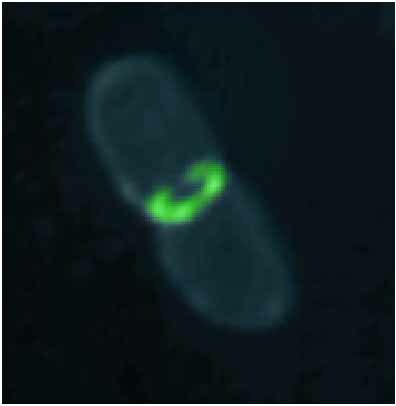 Localization of FtsL to the Escherichia coli septal ring. proteins localize to the Z ring and are required for proper septum formation in E. coli. Used by permission of Dr. Jon Beckwith, Harvard University.